Snap it. Eat it. Share it! Show us your #OrangeChickenLove on Twitter and Instagram for a chance to be featured in our gallery. So, how deep is your Orange Chicken Love? 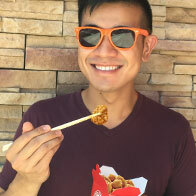 Show us your #OrangeChickenLove on Twitter and Instagram for a chance to be featured in our gallery.